D6 – 8: Was Killing Legal? But as the US narrative of the raid has developed – and changed – since Monday’s raid, there have been growing questions about whether it was legal to kill the al-Qaeda leader. At one level, these questions have focused on what happened during the operation at the building in Abbottabad in which Bin Laden was found. Putting the case for the legality of the raid on Wednesday, US Attorney General Eric Holder said it was “conducted in a way that was consistent with our law, with our values”. “If he had surrendered, attempted to surrender, I think we should obviously have accepted that, but there was no indication that he wanted to do that and therefore his killing was appropriate,” he told the Senate judiciary committee. No blow-by-blow account of what happened in the moments before Bin Laden was shot has been settled on. US officials have suggested that Bin Laden may have been reaching for a weapon, and that the Navy Seals may have suspected that people in the compound were wearing suicide belts. But they have also said Bin Laden was not carrying a weapon – after initially saying he was. And they have told US media that just one person in the compound shot at the special forces team, in what appears to have been a fairly one-sided confrontation. Legal experts have therefore asked whether the US forces were instructed to kill, and whether Bin Laden was offered a chance to surrender. Like Mr Ferencz, British law professor Philippe Sands QC says it is impossible to make a definitive legal judgement without knowing precisely what happened. But he says the case for the raid’s legality has been weakened. “The question to ask is: were the measures taken in the actual situation that pertained reasonable and proportionate given the circumstances in which the [Navy Seals] found themselves?” he told the BBC. On a broader level, US officials have justified Bin Laden’s killing as an act committed as part of an armed conflict with al-Qaeda. Mr Holder said Bin Laden’s killing was “an act of national self-defence”, calling the al-Qaeda leader “a lawful military target” who had acknowledged his role in the 9/11 attacks. “It’s lawful to target an enemy commander in the field,” he said. Some legal experts have backed up that position. The extent to which Bin Laden could have still been a key commander, given the restrictions on his movements and communictions, has been queried, though the US has said he was “active in operational planning” from Abbottabad. 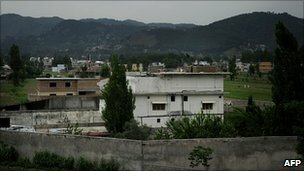 But the fact that Bin Laden was killed in a normally quiet town, in a country with which the US is not at war and says it was not given prior warning of the raid, has also raised questions. “As a matter of international law, one country is not free to enter another country apparently without the authorisation of that country, and intervene, whether to kidnap or kill a national of a third state,” Mr Sands said. He acknowledged that under what is known as the doctrine of necessity, where there is an “overriding threat to national security”, such an act might not give rise to responsibility or liability. But he said the difficulty with that argument was that it comes against a background of a rise in extrajudicial killings, including through the use of drones, and that this was not a “lawful direction to be taking”. The logical conclusion of any idea that Bin Laden could be killed as an enemy combatant was “that anyone associated with al-Qaeda in any country in the world can be taken out, can be executed,” Mr Sands said. “I think it’s deeply troubling if we are indeed moving to a place where you can have a global assassination policy for those who are perceived to cause trouble,” he added. The UN special rapporteur on extrajudicial, summary or arbitrary executions, Christof Heyns, and the special rapporteur on the promotion and protection of human rights and fundamental freedoms while countering terrorism, Martin Scheinin, have raised a similar concern. “In certain exceptional cases, use of deadly force may be permissible as a measure of last resort… including in operations against terrorists,” they said in statement. “However, the norm should be that terrorists be dealt with as criminals, through legal processes of arrest, trial and judicially decided punishment,” they added.